How long has it has been since you have started the engine on your boat? After a couple of days of just sitting, any protective oil that was left on the bearings is almost gone, basically leaving a "dry start" metal to metal condition the next time you start that engine.  80% of all engine wear occurs at startup. The longer it has been since an engine was last started the greater potential for wear!  Pre-Lubricating any engine before it is started will decrease or eliminate the overall wear normally associated with the "dry starting" of an engine, thus extending engine life. After a week, even oil that normally is in the small oil passages and oil galleys has run back into the oil pan, making the initial starting of your engine even harder on the bearings and valve train components. Why? Because now when starting the engine the oil pump has to fill all of the oil passages before any oil gets to your bearings or valve train...on some engines this can take 5-10 seconds or MORE. Extend the life of your expensive boat engine, reduce maintenance, and make starting easier, with the MasterLube Prelubrication system. Boats of all types, sizes and uses can be protected. With models to fit almost any application, we welcome the opportunity to build custom models for those "unique" applications, usually for little if any extra from our kit pricing. Call us for details. "My boat usually sits for a week or two without being started... this has always bothered me, as has that knocking and ticking noise in the first few seconds when I first started it ...those noises were not there when the boat was new. 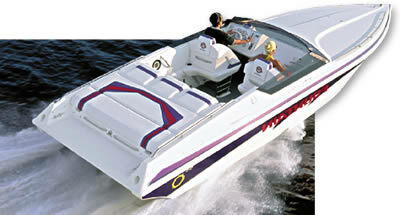 Since installing your 3 quart MasterLube model, the boat starts just like new, without the noises! Thanks for a great product."